Jules Sébastien César Dumont d'Urville (23 May 1790 – 8 May 1842) was a French explorer, naval officer and rear admiral, who explored the south and western Pacific, Australia, New Zealand and Antarctica. In 1807 Dumont was admitted to the Naval Academy at Brest where he presented himself as a timid young man, very serious and studious, little interested in amusements and much more interested in studies than in military matters. In 1808, he obtained the grade of first class candidate. We selected a relevant part of his comprehensive biography on Wikipedia which describes his travels to the Pacific and New Guinea. In 1819 Dumont was sent to the naval archive where he came across Lieutenant Louis Isidore Duperrey, an acquaintance from the past. The two began to plan an expedition of exploration in the Pacific, an area from which France had been forced out of during the Napoleonic Wars. France considered it might be able to regain some of its losses by taking over part of New South Wales. In August 1822 the ship Coquille sailed from Toulon with the objective of collecting as much scientific and strategic information as possible on the area to which it was dispatched. Duperrey was named Commander of the expedition because he was four years older than Dumont. The new Astrolabe skirted the coast of southern Australia, carried out new relief maps of the South Island of New Zealand, reached the archipelagos of Tonga and Fiji, executed the first relief maps of the Loyalty Islands (part of French New Caledonia) and explored the coasts of New Guinea. The Astrolabe returned to Marseille during the early months of 1829 with an impressive load of hydrographical papers and collections of zoological, botanical and mineralogical reports, which were destined to strongly influence the scientific analysis of those regions. Following this expedition, he invented the terms Malaisia, Micronesia and Melanesia, distinguishing these Pacific cultures and island groups from Polynesia. 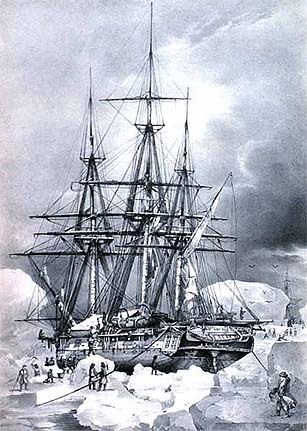 In 1835, Dumont was directed to return to Toulon to engage in “down to earth” work and spent two years, marked by mournful events (the loss of a daughter from cholera) and happy events (the birth of another son, Émile) but with the constant and nearly obsessive thought of a third expedition to the Pacific, analogous to James Cook's third voyage. He looked again at the Astrolabe’s travel notes, and found a gap in the exploration of Oceania and, in January 1837, he wrote to the Navy Ministry suggesting the opportunity for a new expedition to the Pacific. This third expedition was of minor importance to natural history (merely a polar exploration) and therefore not dicussed here. Most of the insects collected by Dumont were scientifically studied and described by Jean Baptiste de Boisduval. Type specimens of this collection are now stored in Museum National d'Histoire Naturelle in Paris, The Natural History Museum in London, Institute Royal des Sciences Naturelles de Belgique in Brussels and the Carnegie Museum in Pittsburgh.